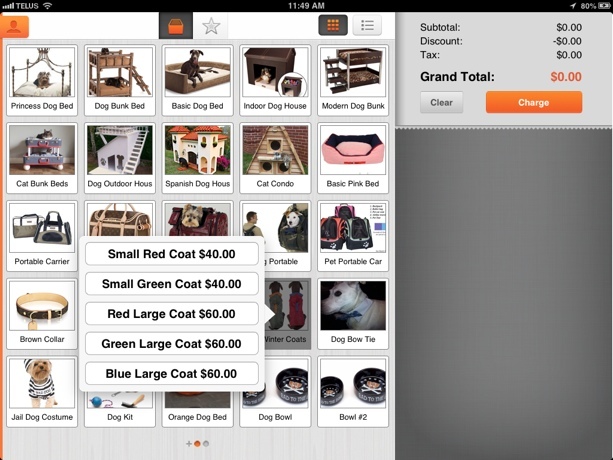 The first step to a robust and complete POS experience is having your inventory at your finger tips. Creating items only takes a few seconds per item, but it is recommended that taxesare set up first. To start, tap Add Product. 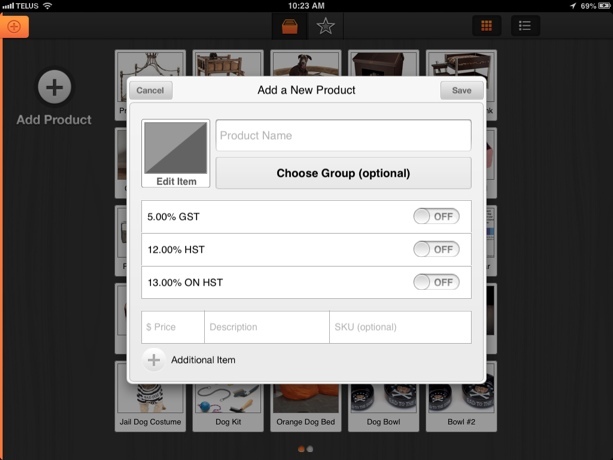 This will open a new window that will allow you to assign prices, descriptions and SKUs to your items. 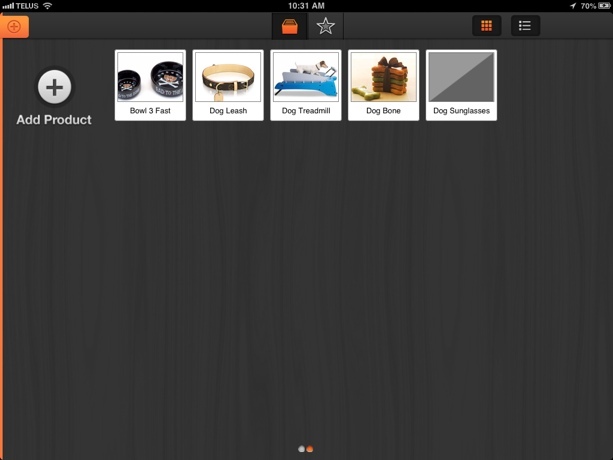 The fields required for successful item creation are Product Name, Price and Description. These can be manipulated by tapping each field, and filling them out. 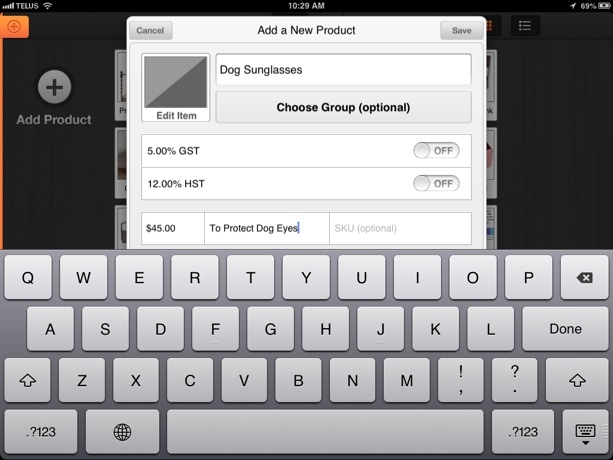 Once the required fields have been filled, simply touch Save in the top corner to submit the item to the Cloud, where it is stored and made available to all users with permissions to sell. Many items that can be sold will frequently be the same physical item, with variations. If we take something like Winter Coats for dogs, they may have only colour variations, or quality variations. Rather than clutter the inventory, you can take your main item and add sub categories that will display. 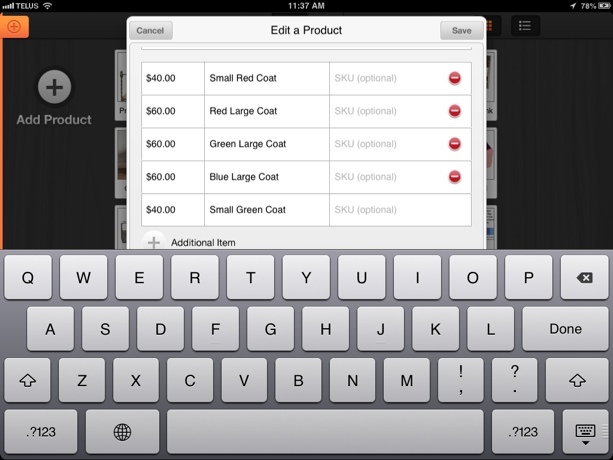 To add a sub-item, during item creation, or item editing, simply look to the bottom of the Edit a Product window. You can either fill in an empty field, or tap the Additional Item button to generate a new field. Once you're happy with your new sub-item, tap Save in the upper right hand corner of the window, and your item is updated. When you sell this item, you will now be able to choose from up to eight sub-items.